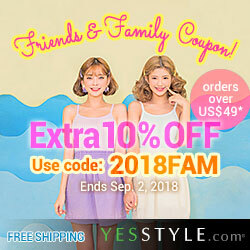 Are there any products that you like but has been discontinued by their company? I know of a couple. 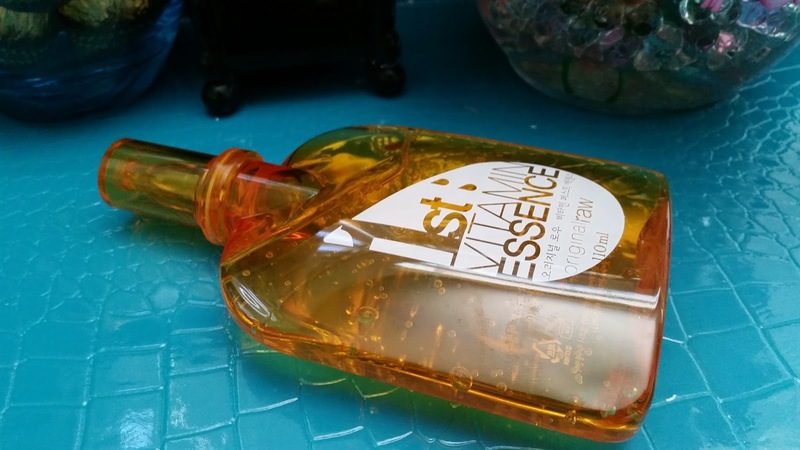 I wasn't sure if I should share this review or not since the Original Raw 1st Vitamin Essence seems to have been discontinued by Chosungah. However, since I got this in a Memebox (the Snow White Princess Edition) last year, there might be someone else who purchased it and is looking for a review. So, I thought I'd share my thoughts on it. Chosungah is a fairly popular brand and Sephora actually carries some of their products. I've yet to have a chance to try those products on Sephora because I have a lot of products in my stash. However, I do see a couple of things that I would like to try. 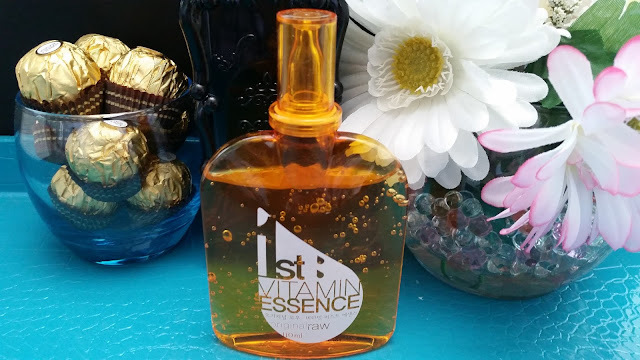 I think not too long after I got this 1st Vitamin Essence in one of my Memeboxes, Chosungah decided to discontinue their entire Original Raw line. Which was kind of odd, because I heard the Original Raw line was quite popular. For a while, I didn't try this essence because I was afraid that I would end up liking the essence and have no where to turn to buy it. However, last fall/winter time I dug it out of my stash and started to patch test it. I was unable to find the full ingredient list for this product, so I tested with caution. This was also after one of my massive breakouts/irritations due to another product that I tested without knowing the ingredient list. So I was extra careful. 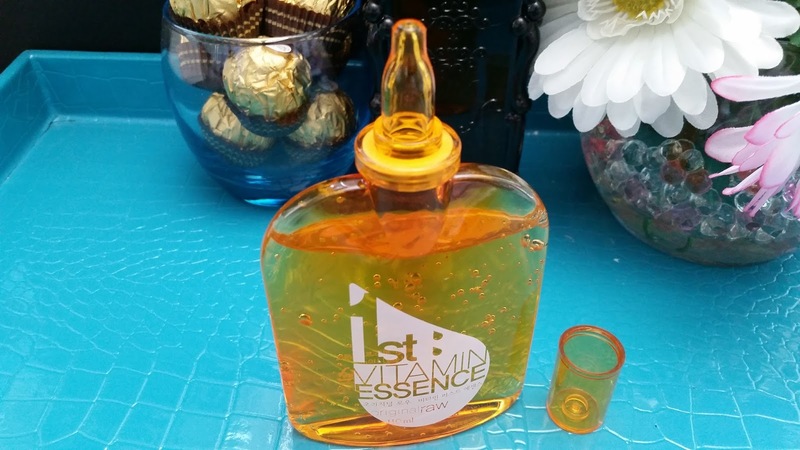 The Original Raw 1st Vitamin Essence passed my patch test and I began using it soon after. The essence is supposedly a 3 in 1 product. As it claims to be a toner, essence, and lotion all in one. The product also claims to brighten and rejuvenate the skin as it is enriched with various vitamins and nutrients. I couldn't use this product as my toner+essence+lotion because it was not moisturizing enough for that. I ended up just using it as an essence most of the time. Sometimes, I'll use it as a toner/essence if I am in a hurry. As an essence, this product felt nice on my skin. It did not irritate my sensitive skin, although it didn't feel soothing either. It's got a floral fragrance and soap like fragrance and actually reminds me of the scents of a Dove bar soap. 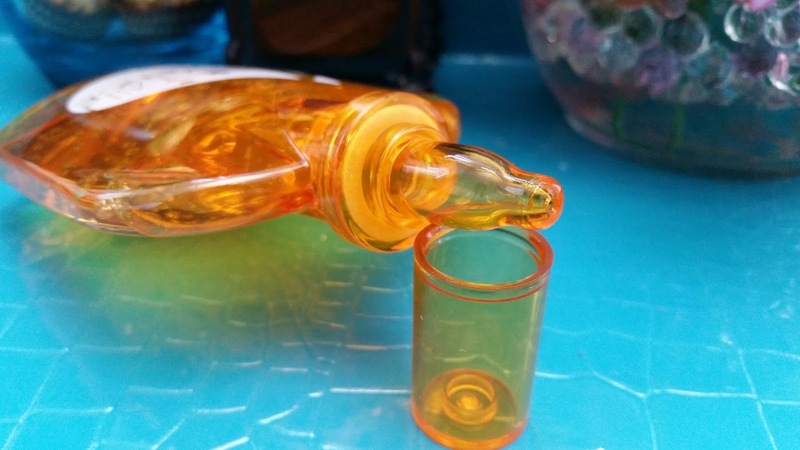 The product comes out in a jelly like form. However, once the massage begins, it melts into a liquidy substance and absorbs into the skin easily. I think I liked this product for a couple of reasons. 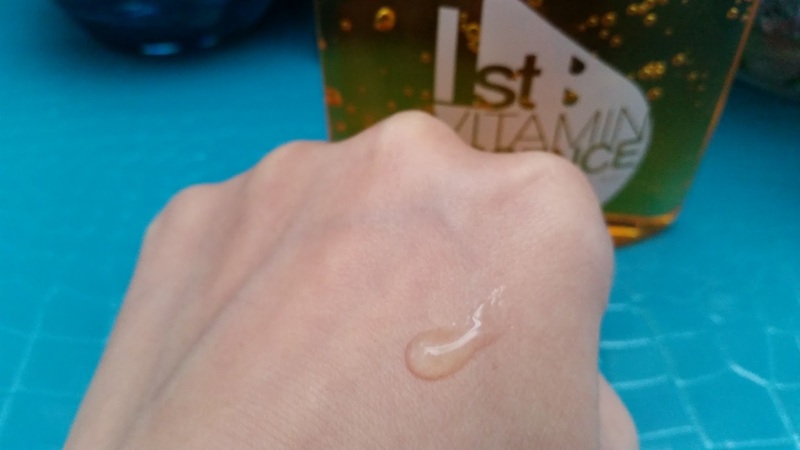 First is because it was able to brighten my skin a little after each application. It also made my skin feel soft to the touch, which was nice. Since the product absorbed fairly quickly, I didn't have to worry about long wait times between product applications. On a busy morning, I could just apply this, a moisturizer, sunscreen and I'll be ready to head out the door. It was definitely convenient. The Original Raw 1st Vitamin Essence is moisturizing if it's used as an essence, but I would not recommend using this product alone because it's not moisturizing enough to act as a toner+essence+lotion. Even my combo to oily skin wanted more moisture. I wasn't too fond of the scent of this product. It's really strong when you first apply it but lightens overtime. However, to those sensitive to fragrances or don't like floral/bar soap scents, this is probably not for you. Looking back, I think what drew me in to using this essence in the first place is its packaging. It reminds me of those jelly drinks I get at my local Asian market. It's very unique, but I really wish they would have included the ingredients list on the packaging. Even if it's in Korean, at least then I can still translate it. Packaging: Comes in an orange see-through bottle. It's unique and minimally designed. It comes in a jelly drink like bottle, with a pull off cap. Scent: Smells like floral fragrance mixed with soap scents. It smells like those pink Dove bar soaps. The scent is very strong when first applied and might not be suitable for everyone. Texture: The essence comes out in a jelly like form at first. However, it turns liquidy when it's being massaged into the skin. Color: The essence is mostly clear with a hint of orange in color. 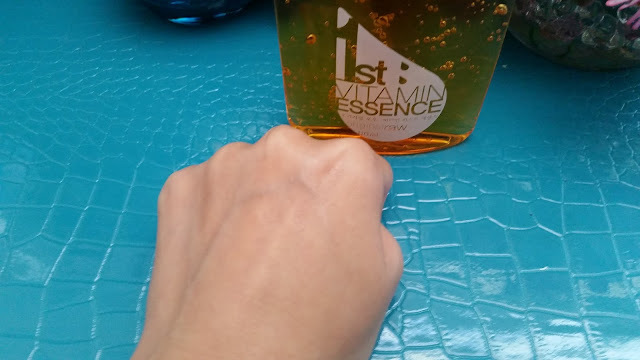 Final Thoughts: I actually finished this essence 3 weeks ago. I ended up using up the rest of it during summer. I did really enjoy using this product and loved that it made my skin feel super soft. However, I don't think I'm going to miss it as much as I miss some other products that have been discontinued by other brands. This essence was nice to use but it did have its own flaws and I think the flaws are the reasons why I won't miss this product too much.